Mooring pendants are custom fabricated to meet your specific performance requirement. 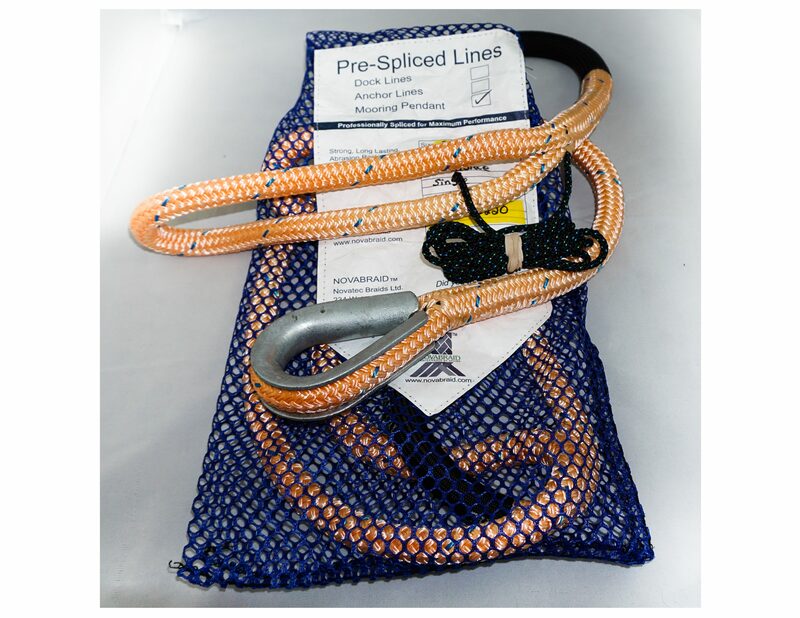 Common configurations begin with Novablue premium double braid polyester rope and include a professionally spliced soft eye on one end and a thimble on the mooring end. Custom elements include colored urethane coating, choke lines, chafe sleeve, floats, nylon – galvanized or stainless steel thimbles, double and split configurations.